Democrats are worried about how Republicans are making Nancy Pelosi the star of attack ads. And NBC’s Ali Vitali and Jack Bohrer count 50 Democratic candidates who say they won’t support Pelosi. Michael Avenatti is in Iowa. More transgender women are running for governor and Congress, notes the Washington Post. Meanwhile, some Democrats are frustrated with Obama’s midterm endorsements. FL-GOV: Will Parkland parents have an impact on the governors race? KS-3: Sharice Davids got a boost from the DCCC’s red to blue program. 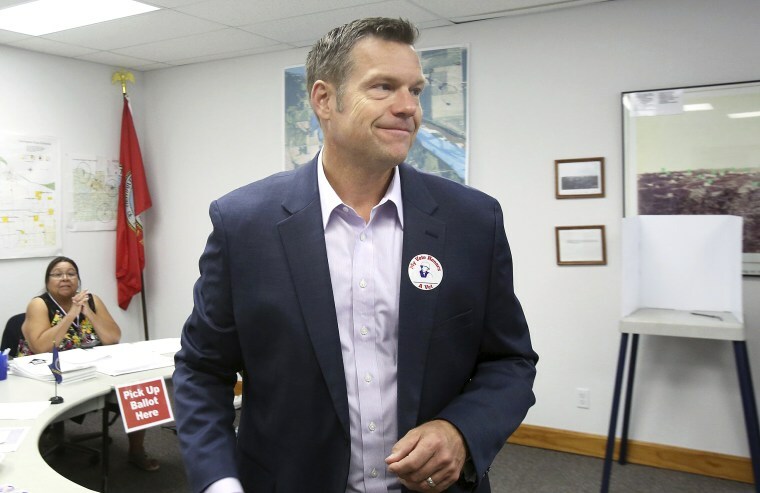 KS-GOV: Politico argues that Kobach will be hard for Democrats to beat in November. Kobach’s lead has been cut to just 91 votes. NY: A judge says that Sean Patrick Maloney can run for AG and for Congress at the same time. TN-SEN: Outside groups are starting to spend in the Senate race. Here’s NBC’s story on Mike Pence’s outline of the new plans for the Space Force. But the Space Force could face a host of problems. If Brett Kavanaugh is confirmed, he would be the least wealthy justice by a long shot.